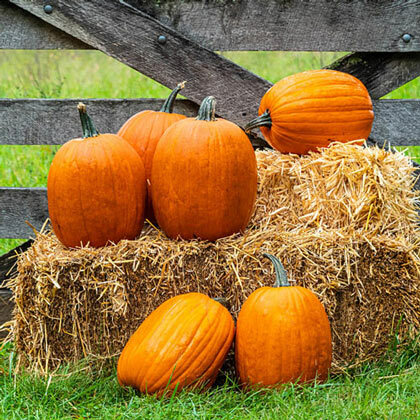 Want to grow pumpkins for decorations and tasty pies? Early Prince Hybrid Pumpkin is a great dual-purpose variety for baking, carving and decorations—and it matures earlier than many other pumpkin varieties. It bears 13-15 lb., round, dark orange pumpkins with thick, well-attached handles. They &apos;re perfect for carving and decorations, and you &apos;ll have plenty for baking, canning and pies. A well-adapted variety, it grows well in the North, West and Mid-Atlantic areas. 90 DAYS. Spacing1 inch deep, 4-5 seeds per hill, 5-6 feet between hills, rows 10-15 feet apart. After seedlings grow 2 inches, thin to 2 plants per hill. 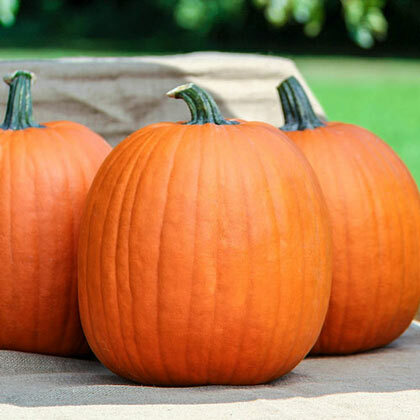 FruitRound, dark orange pumpkins are a medium size, weighing 13-15 pounds. Has thick, well-attached handles. Soil RequirementsRich, well-drained, fertile soil. Seed CountApprox. 10 seeds per packet. 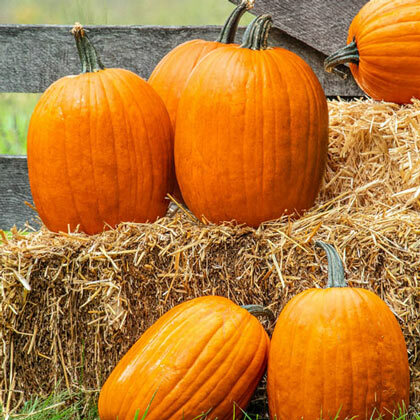 CommentsHarvest this handsome pumpkin early! Medium-size fruit has a nice round shape. Dark orange with thick walls and a well-secured handle that makes it easy to pick up without risk of it detaching, and adds a nice ornamental touch.